Home › brisbane › Kicking off at Kenmore – Mentors needed!! Kicking off at Kenmore – Mentors needed!! 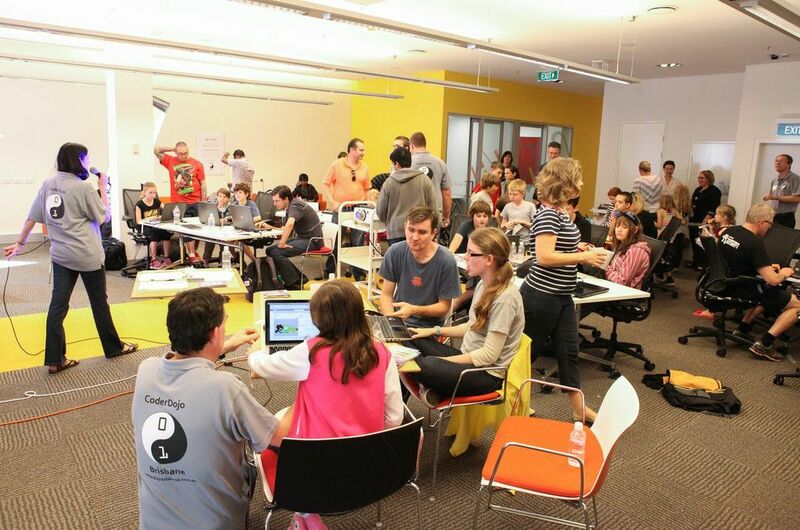 We’re so excited to let you know that CoderDojo Brisbane sessions are kicking off at Kenmore Library from Saturday 17 August (12-2pm). Volunteer Mentors are crucial to the success of CoderDojos. We endevour to always have an experienced Mentor at each session, for new Mentors get a feel for how the sessions run. Mentors are also encouraged to just pop in to a session to see what you’re in for – no commitment!! An ability to think on your feet, kids ask some very interesting and challenging questions! We generally get started with a session on Scratch, just to gauge where the kids are at. Then we introduce HTML to the more advanced/older kids and mix it up with things like Codea for iPads or a Raspberry Pi demo. CoderDojo is really participant led, rather than curriculum based, so we’re constantly talking to the kids to find out what they’re interested in learning about. To find out more, or to register, check out our Mentors page. It would be great to have you involved! !